Some people pattern their shotguns by shooting freehand, but it’s always best to have a sturdy surface on which to rest your gun. The YPOD is designed to provide the proper elevation for the shooting rail with an adjustable base that can raise the height from 7 to 11 inches. The swivel action of the YPOD is quiet and smooth, so hunters don’t need to worry about unwanted noise scaring away their prey. 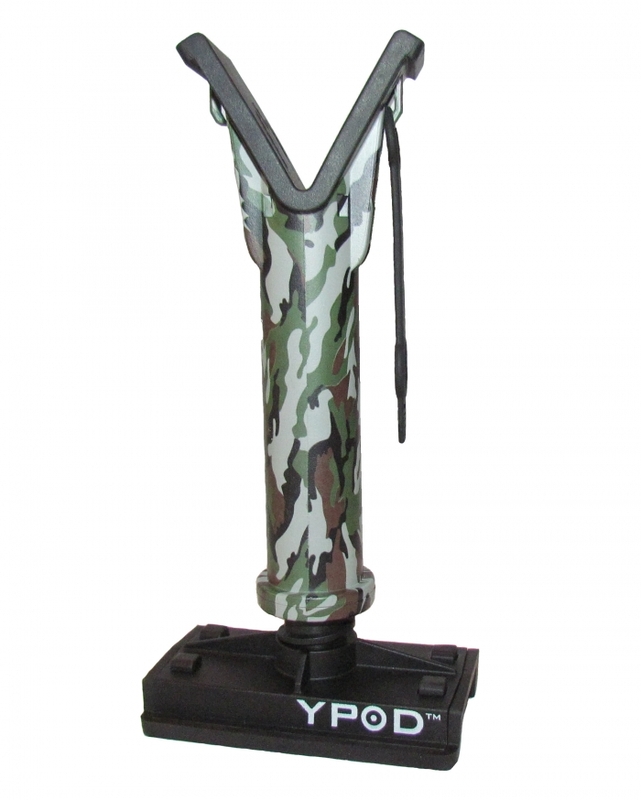 The base of the YPOD is designed for both a flat surface and the shooting rail. It can be easily adjusted by simply twisting the upper body and includes a tension ring for seamless and quiet operation. Weighing in at just 8 ounces, the YPOD is small enough to easily fit into a Cargo pants pocket. Constructed of durable plastic and rubber materials, it is engineered to withstand the harshest environments. The top and base are padded to keep from clinging and allow for a quiet operation that won’t ruin the finish of the firearm. And, the patented base hugs the shooting rail perfectly. There is also a mounting strap with quick disconnect to allow for a smooth transition to easily switch firearms. Within Virginia’s Blue Ridge Mountains, the hilly topography and woodland of the Primland resort provides a premiere setting for Driven Pheasant Shooting that is comparable to the best in the UK. The Primland Driven Pheasant Shoot features six to nine gun lines with three morning and three afternoon drives, each unique in nature and challenge. Meeting the level of every gunner, Primland features 12 different drives arranged across the ravines of our vast woodland. Shooting pegs are located in deep valleys. Each drive lasts about 30 minutes to one hour, with Ringneck pheasants constantly flushed towards the gunning line. Loaders and dog handlers, dressed in proper attire, await to assist you, whether you are shooting one gun or pairs. All of Primland’s loaders ensure safe shooting and conduct in addition to taking care of the gunner and their equipment so you never run out of ammo at the peg. 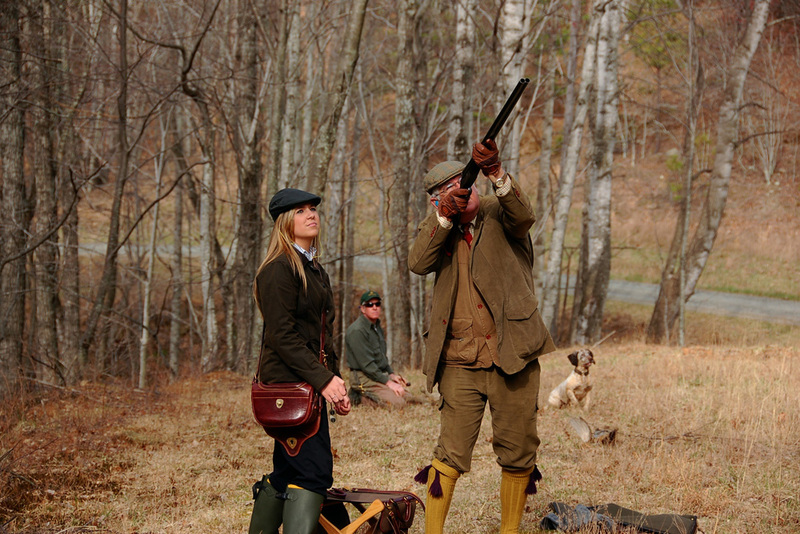 Primland offers Driven Pheasant Shooting from November through March in half day, full day or multiple day packages. Advance reservation and deposit are required. Shotgun Life is the first online magazine dedicated to the best in wing and clays shooting. For the current issue, please click here. You are receiving this message because is subscribed to this newsletter. If you do not want to receive any more newsletters visit this link. To update your preferences and to unsubscribe visit this link.